More than eight million individuals with disabilities call the Southeast Region home. Our diverse region covers eight states and includes large urban centers (Atlanta, GA; Miami, FL) as well as the rural areas of northern Mississippi and eastern Kentucky. To meet the needs of stakeholders throughout our region, the Southeast ADA Center funds an eight-state Affiliate Network. Their mission is to promote voluntary compliance with the ADA through outreach, training and dissemination of accurate ADA information to individuals, businesses, employers and their state and local governments. This profile highlights the Southeast ADA Center's projects and products that make communities in the Southeast Region more accessible and welcoming to people with disabilities. The Southeast ADA Center is conducting new research that examines the financial inclusion, facility and programmatic accessibility for people with disabilities in financial institutions. The Center is guided by the Financial Research Opportunities Group (FROG). The FROG is made up of people who have various disabilities, people who are aging, financial institutions, and people representing underserved populations. Three studies will examine financial accessibility as an aspect of community inclusion and participation and will address a critical need for information on how financial institutions provide accessible services for people with disabilities. The research will help financial institutions address these issues and educate the public on possible solutions. 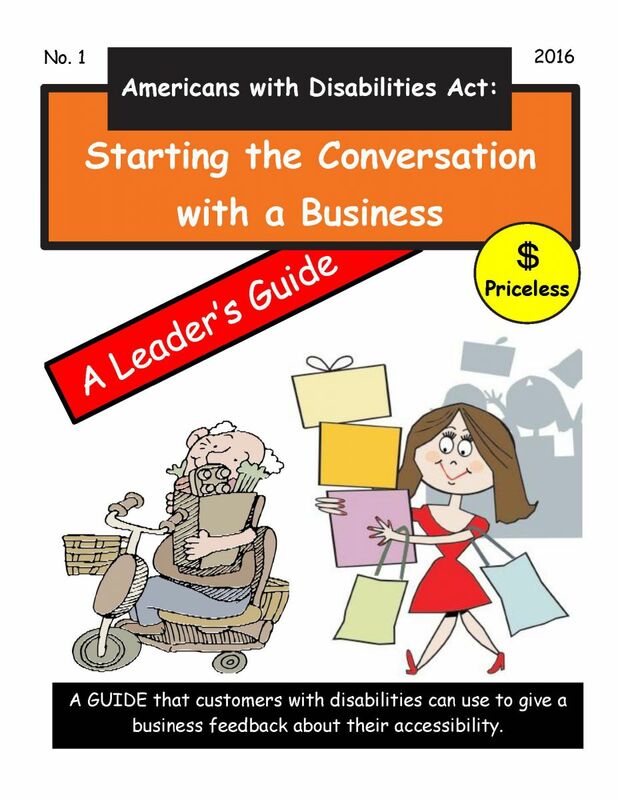 Resources such as the ADA National Network’s toll free phone number and website so that businesses can learn more about their ADA responsibilities. The Southeast ADA Center partners with an extensive Affiliate Leadership Network in the Southeast region. The Affiliate Leadership Network represents Centers for Independent Living (CILs), service providers, disability coalitions, DD Councils, University Centers for Excellence in Developmental Disabilities, and others. The Center works with each affiliate organization on an annual basis to identify the state’s needs and implement training and technical assistance activities to meet its needs. Examples of these activities include training for law enforcement, monthly ADA trainings on all aspects of the law, ADA facility access site surveys, advising and interacting with state legislative bodies, and engaging local ADA Coordinators. The Affiliate Leadership Network also plays an active role in an advisory capacity to the Center and provides leadership in research projects. 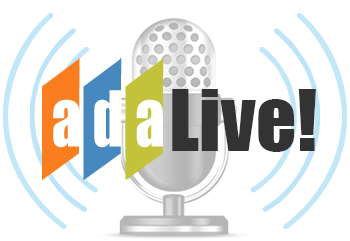 “ADA Live!,” the Center’s monthly podcast, is released the first Wednesday of each month. Regional and national experts provide accurate, up-to-date information on a range of issues, attracting an average of 700 listeners each month. ADA Live’s fully accessible website allows listeners to post questions and download resources for all archived shows. The Southeast ADA Center developed and maintains three fully accessible ADA web courses. These ADA National Network courses are free and may be taken at any time. The ADA Basic Building Blocks Course, the only comprehensive online course covering all titles of the ADA, has been taken by 43,115 participants. Participants who meet course requirements are eligible for CRCC and CEU continuing education credits. At Your Service: Welcoming Customers with Disabilities provides participants, particularly frontline staff, with the ADA information and background they need to serve people with disabilities effectively and courteously. It has been taken by 24,017 individuals. Participants who meet course requirements are eligible for CRCC and CEU continuing education credits. ADA Title II Tutorial: An Overview of Title II of the Americans with Disabilities Act is designed to provide ADA Coordinators, state and local government staff, and others with the basic principles and core concepts of Title II of the Americans with Disabilities Act of 1990 (ADA) and the Americans with Disabilities Amendments Act (ADAAA). To date, the course has been completed by 22,796 individuals. The Southeast ADA Center partners with several organizations on the state, regional, and national levels to ensure that direct service professionals working with people with disabilities or students who have in interest in disability have accurate information on the Americans with Disabilities Act. Our partners include the following organizations. ATL Next: ADA Advisory Committee for Hartsfield-Jackson Atlanta International Airport: This eleven-member group assists airport management in identifying travel barriers and recommending ways to address the needs of the public and airport guests who have disabilities. A SEADA staff person serves on the Committee and provides guidance on ADA-related issues. Georgia APSE (Association of People Supporting Employment First): Georgia APSE is the state chapter of APSE National. A SEADA staff person is on the Georgia APSE Board of Directors and is currently chairing the Training Work Group. The Center and GA APSE are working together to provide ADA training to supported employment professionals. Georgia Emergency Preparedness Coalition for Individuals with Disabilities and Older Adults: Consists of stakeholder agencies throughout Georgia and serves as a key group in statewide preparedness efforts. A SEADA staff person serves on the Coalition, provides guidance on ADA-related issues, and is active in the Training and Technical Guidance (TTG) and the Functional and Access Needs Guide subcommittees. Morehouse College: a historically black college in Atlanta, Georgia. The Center provides one internship per semester for one Morehouse student. The internship provides the opportunity for students to learn about the Americans with Disabilities Act, disability culture, and research. Spelman College: a historically black college in Atlanta, Georgia. The Center provides one internship for Spelman students. The internship provides the opportunity for students to learn about the Americans with Disabilities Act, disability culture, and research. Southeast Center Director’s Association (SECDA): an organization that includes representatives from the majority of the Centers for Independent Living (CIL) across the Southeast. We provide the opportunity for 1-2 staff members per CIL in the Southeast region to participate in the ADA Trainer Network – Southeast’s (ATN-SE) Train the Trainer Program. As an ATN-SE member, this allows CIL staff to build capacity to provide basic ADA training in the local community. APSE (Association of People Supporting Employment First): the leading national advocacy organization promoting the full inclusion of people with disabilities in the workforce and their community. This partnership allows the Center to expand its opportunities to provide ADA resources and training to supported employment providers and job seekers across the Southeast and the nation. Best Buddies International’s Best Buddies Jobs Program: Secures jobs for people with intellectual and developmental disabilities, allowing them to earn an income, pay taxes, and continuously and independently support themselves. The Center collaborates with Best Buddies Jobs to provide four-webinars per year for staff on a variety of ADA and disability related topics.